DateNight is a two-year-old Toronto business whose online platform matches parents with babysitters in their area. DateNight screens babysitters via a Skype interview, then connects them with families who have registered on the company’s website. Elize Shirdel, DateNight’s founder, wants to cover more communities in the Greater Toronto Area and expand into Vancouver. Her growing business needs to refine its technology, invest in more marketing and hire at least one employee to manage sitters and families. What the judges say: DateNight has a great business concept that fills an important need, but Ms. Shirdel is up against a critical challenge: convincing parents they can entrust their child to a sitter they found online. Toronto-based Autom River is the company behind Greenlid, a leak-proof and recyclable composting bin made out of the same type of cardboard used in egg cartons. Designed to hold up to four litres of organic waste, Greenlid is on the shelves of most major Canadian retailers including Home Depot, Rona, Canadian Tire and Loblaws. 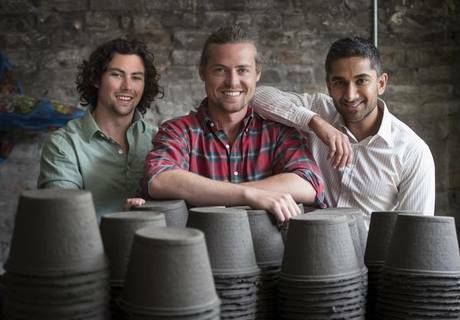 Morgan and Jackson Wyatt, brothers and founders of Autom River, want to introduce a family-size version of the Greenlid to satisfy customer demand and maintain their market lead. But they need capital to produce the moulds for the larger format. What the judges say: The Wyatt brothers have, so far, been successful at raising capital. A Kickstarter campaign in 2014 yielded $26,000, while an appearance on Dragons’ Den led to an $85,000 deal with David Chilton and Arlene Dickinson. 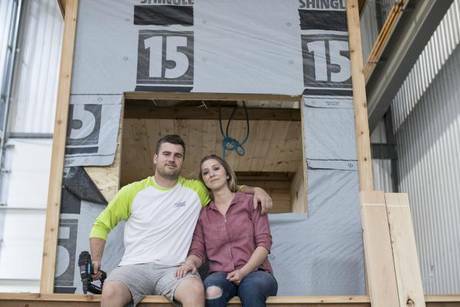 They’re well on the path to tremendous success, says Suzanne Trusdale, head of small business solutions at Telus Corp.
Tyson Leavitt, CEO of Charmed Playhouses and his wife Audrey. Based in Lethbridge, Alta., Charmed Playhouses custom-builds fantastical playhouses priced from about $7,500 to as high as $100,000. This year, the company and its team also became the stars of a reality television show called Playhouse Masters, which airs on TLC. Tyson Leavitt, co-founder of Charmed Playhouses, expects the show will drive up sales. But he’s looking to do more than build high-end playhouses; he also wants to develop a lower-priced, modular design and grow the company’s newly launched line of playhouse furniture. To get to the next level of growth, he needs to invest in new equipment and inventory, and hire more carpenters and office staff. What the judges say: Media coverage has given Charmed Playhouses widespread brand recognition. Ms. Trusdale says this translated to the highest number of supporters in this year’s Challenge contest online voting. That’s why she thinks the company should stay focused on its high-end playhouses. Discerning fans of the Caesar cocktail can thank Zack Silverman, Aaron Harowitz and Joshua Linde for giving their favourite drink a flavour boost. 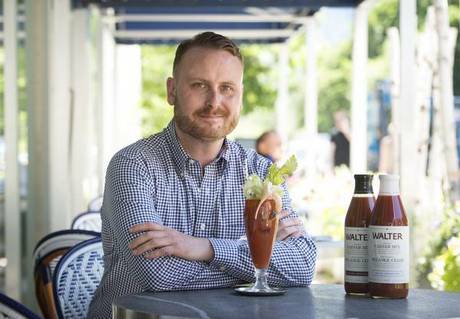 The three men are owners of Vancouver-based Brutus Beverages, which produces Walter Craft Caesar Mix, an all-natural drink mix. The mix is used in about 650 restaurants and sold in more than 1,000 stores, including a large number of independent grocers. The owners at Brutus Beverages want to put Walter Craft in more major groceries, but most of the big national retailers charge vendors a one-time slotting fee. Brutus Beverages will need about $130,000 to get into all of the retailers it’s targeting this year.